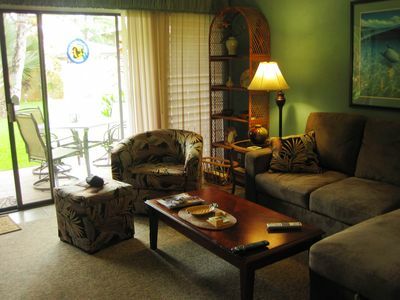 Your Home for Fun and Relaxation on Maui! 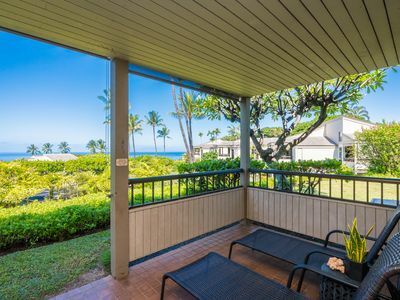 A minute’s walk to the beautiful Kamaole 2 Beach. Strong Wi-Fi signal. Well-maintained and clean. 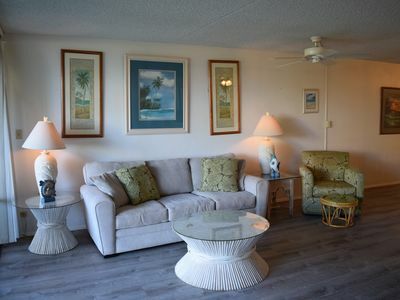 Fully-equipped for your holiday. 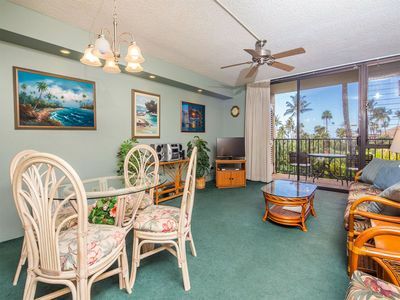 This is the condo to choose for your Maui adventure home base! 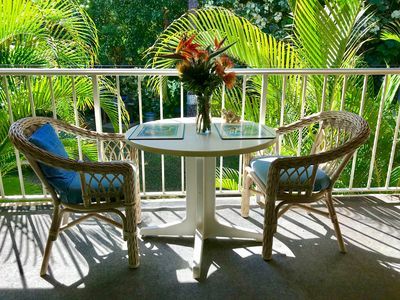 We, the co-owners: Bob and Kathleen and Kelley and Jack, all retired educators (one librarian and three teachers), have designed our Maui home to be as peaceful and functional as possible. 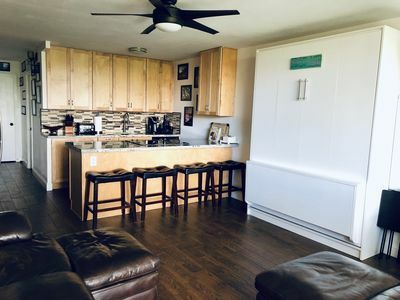 No heavy furniture, no dark cabinets. 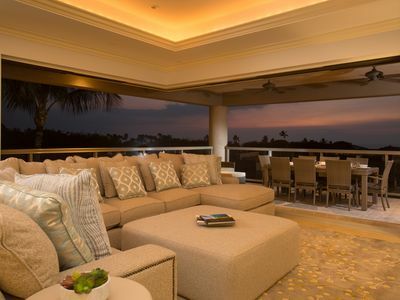 Instead, the atmosphere is light, clean, and airy. 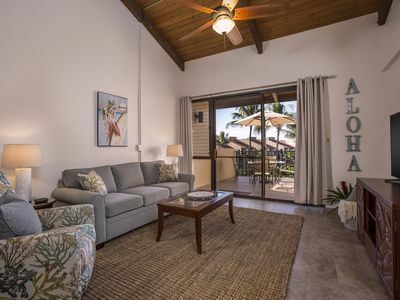 The new bathroom offers spa-like fixtures including a walk-in, adjustable-level shower, tastefully decorated with white tile plumeria blossoms and sea turtles who swim along the stone floor. The king-size bed is firm and comfortable. 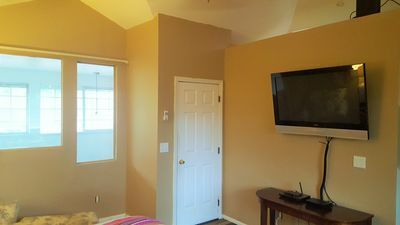 In the living room, the new television displays a full cable menu. 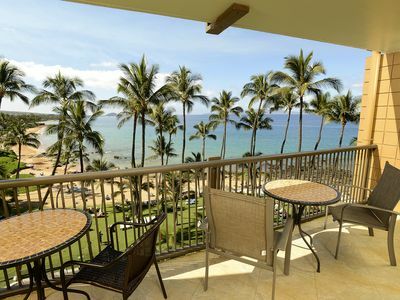 The lanai is shaded from the afternoon sun and offers a quiet, cool space to enjoy the day after mornings at the beach. The Wi-Fi signal serves the entire unit well. 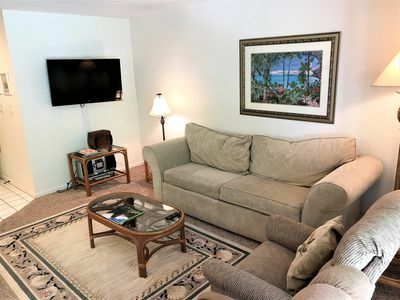 Our flat screen TV is connected to the local cable programming as well as a dedicated Roku player that allows guests to view the full Netflix catalogue as well as other channels. 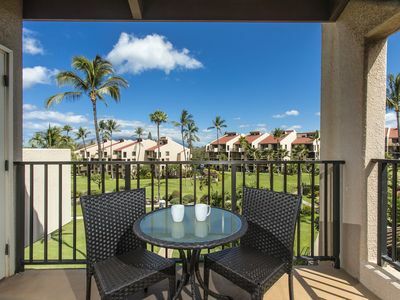 Kihei Kai Nani itself is a spacious garden complex directly across the street from the three magnificent Kamaole Beaches, where you can enjoy your morning coffee (or evening Mai Tai) after an easy stroll down the drive. Parking is free. 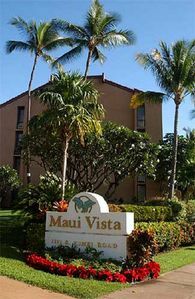 Shops and restaurants are within convenient walking distance. 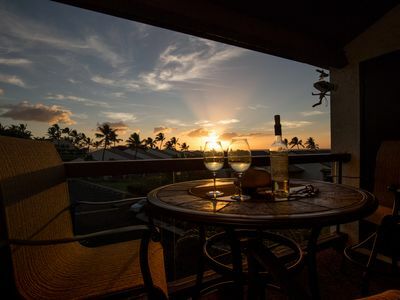 We love it here and know you will too. 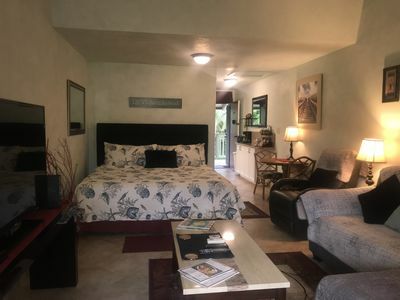 Please use the VRBO.com system to book on-line or to contact us, so that we can answer any questions you may have. 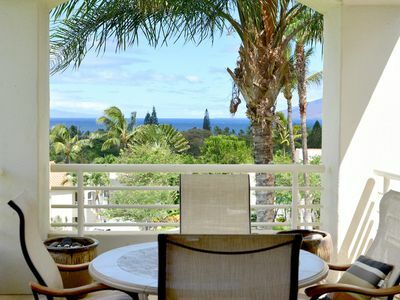 Stunning Mana Kai Maui 2 Bedroom Oceanfront Condo! 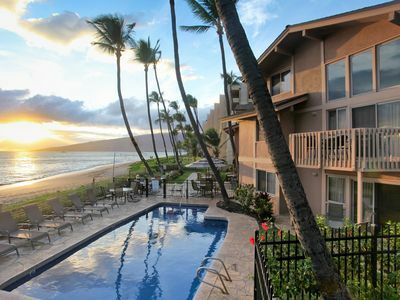 - Special Discounted Rates! Heaven on Earth. NO HIDDEN FEES! 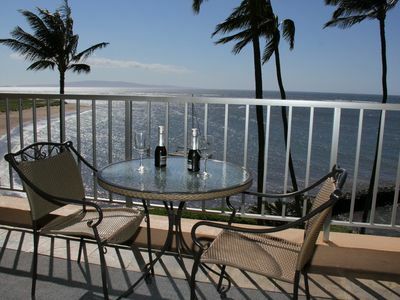 Kihei Sands Beachfront Condo A12 on Maui's Beautiful Sugar Beach! 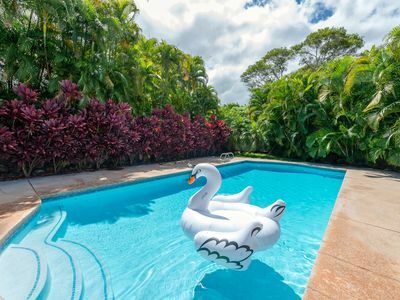 Everything You Need For Fun, Food, and Friends! NEW! 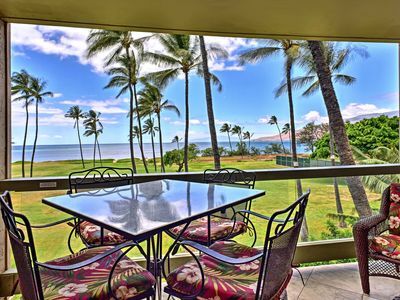 Beachside Kihei Condo w/Stunning Views!